Hey everybody! Thanks for hanging tight while I was away this weekend. I'm back now and that means right back to blog posts! Today I'm finally jumping into my Mattel Cars 3 1:55 scale diecasts collection with Piston Cup racer, Ralph Carlow No. 117 (also known by his sponsor Lil' Torquey Pistons). 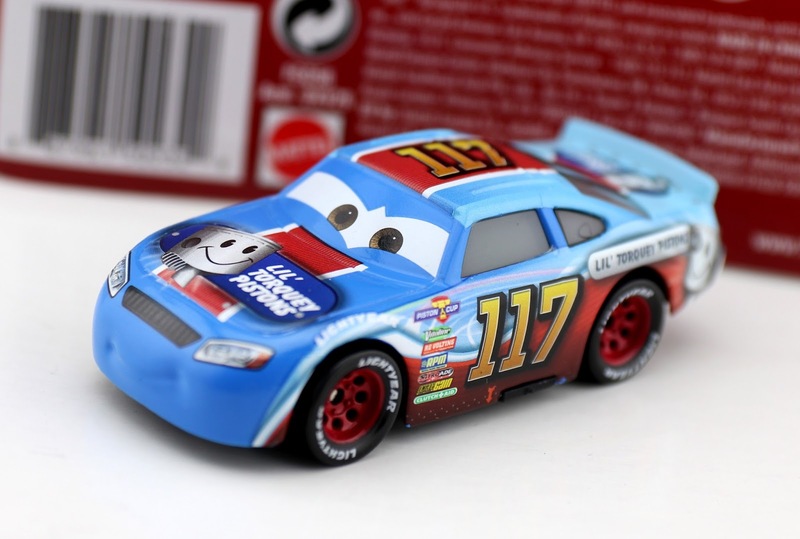 Why choose Ralph Carlow for my very first Cars 3 diecast post? There's really no reason except it's late here and he was a simple choice (though perhaps a tad anticlimactic), ha! Admittedly I'm tired and knew this one would be quick to document here. As shown in the screen shot above, Carlow is one of the Piston Cup racers seen throughout the opening of the film during the various races. He actually originally appeared in the first Cars and is one of the few racers still racing by the time frame of Cars 3 (with an updated design of course). There's not much to say about him really, but he's still a pretty cool looking stock race car with some colorful graphics. This diecast was first available at Kmart stores during this year's Kmart Cars 3 event on Saturday, June 17 (that's where I picked him up). This is not a Kmart exclusive however; it's more of what they call a "first to market", as in Kmart was the first to get him, but he will see a wider release soon (if not already). 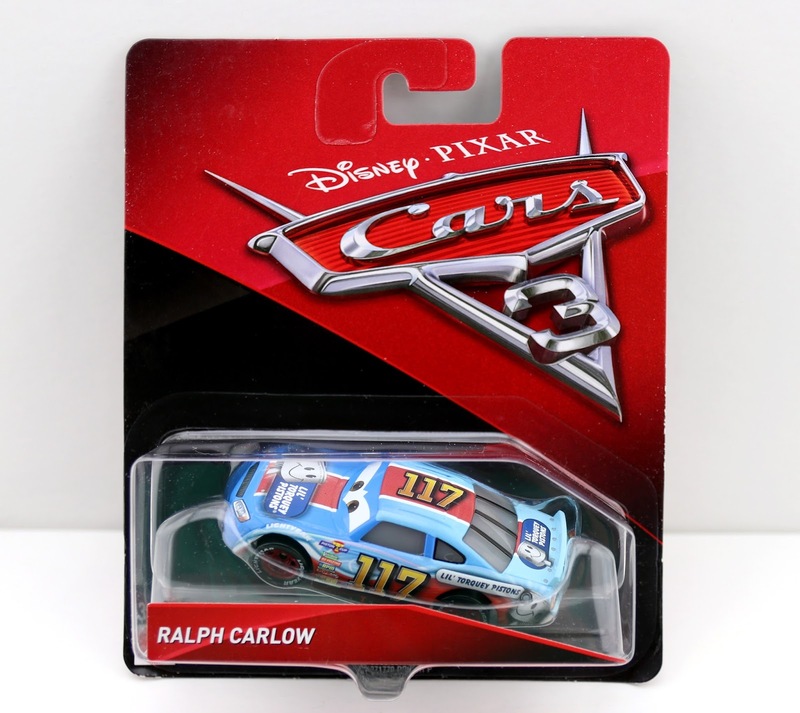 If you're having troubles finding Ralph Carlow in stores and would rather save trouble by picking him up online, check out eBay using THIS DIRECT LINK or Amazon using the link below.